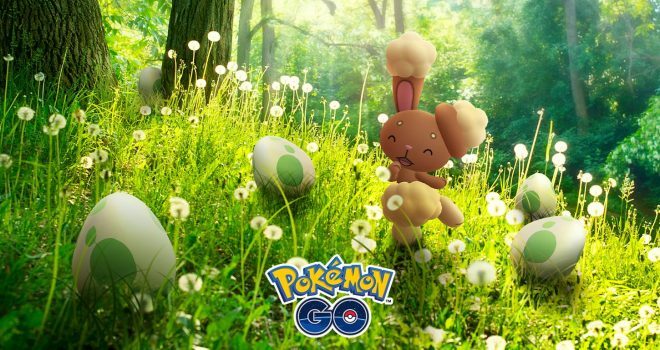 Hatch loads of Pokémon that can only be found in Eggs, find Shiny Buneary, earn extra Candy, and do so much more during this egg-cellent event. The Pokémon GO Eggstravaganza is back, and it’s brought along all sorts of egg-citing bonuses. From Tuesday, April 16th, 2019, at 4:00 P.M. ET, to Tuesday, April 23rd, 2019, at 4:00 P.M. ET, Pokémon like Pichu, Smoochum, and Magby will be available in 2 km Eggs, and there will be plenty of Egg-related Field Research tasks to complete. You’ll also earn twice as much Candy for every Egg hatched during the event. Buneary will be joining in the festivities as well, and if you’re lucky, you might even encounter the Shiny form of this Rabbit Pokémon. But that’s not all! Lucky Eggs will last twice as long during the event, and Incubators will be twice as effective.